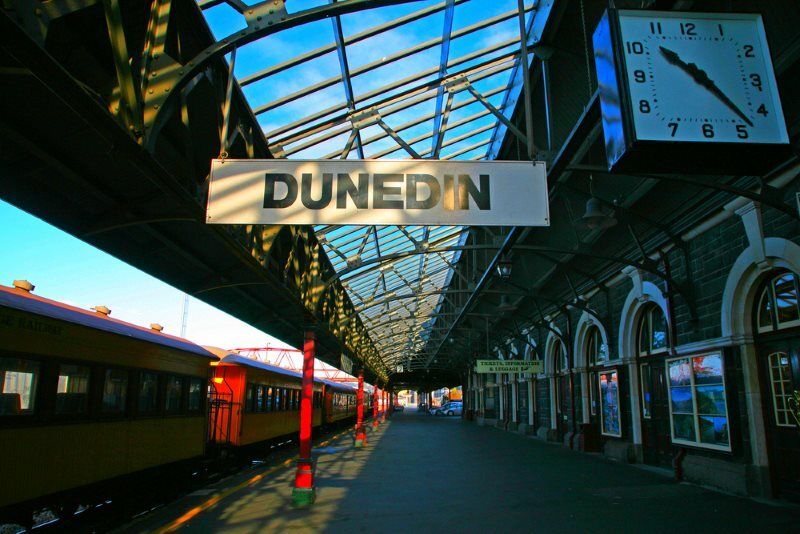 Dunedin City Council has committed $150,000 to help make Dunedin more attractive for startups. The Dunedin City Council’s Economic Development Committee has committed $150,000 to support the development of the Dunedin startup ecosystem during 2018/19. The decision reflects confidence in the work of the Startup Dunedin Trust, local co-working spaces such as Innov8HQ and Petridish, businesses and stakeholders over the last eighteen months. “We’re encouraged by the activities of the Startup Dunedin Trust in their approach to providing Dunedin startups the information, networks, advocacy and resources needed to build companies. We welcome the growth in the ecosystem. We endorse the current direction of the Trust and congratulate the trustees on the way they have worked collaboratively with the Grow Dunedin Partnership, Enterprise Dunedin and business. We look forward to seeing the continued development of this work and its contribution to the goals of the 2013-23 Dunedin Economic Development Strategy”. As part of the decision by the Economic Development Committee, $100,000 will be invested in the Startup Dunedin Trust for the delivery of activities to support startup growth, measure performance, share lessons and benchmark Dunedin relative to other cities. The intention is to draw key investors and mentors, locally, nationally and internationally into the ecosystem to drive and build on the momentum that has been building over the last few years. A further $50,000 was also set aside for expressions of interest from the wider startup ecosystem to foster new initiatives. “We are thrilled to have this support from Council and congratulate the Council’s Enterprise Dunedin team, Grow Dunedin Partnership members and Councillors for embracing our thriving ecosystem and helping us create the momentum that we can now capitalise on. This support will allow Startup Dunedin to make good on our strategy of making Dunedin one of the world’s most entrepreneurial small cities. Specifically this funding will go a long way towards extending our current programmes such as the Challenger Series, which attracted 71 startup entries and is now incubating three promising startups – next year we could put through 10; and the Co.Starters programme which runs twice per year, with 16 startup companies in each cohort, we can now look to run an additional cohort. And most importantly it gives us the runway to start to really chip away at some bigger picture strategies and projects, such as an annual major startup showcase, and attracting national and international investors and startups to view Dunedin as a world class destination to startup and to deploy capital. In addition to the investment by the Committee, Callaghan Innovation and CreativeHQ have also agreed to invest $50,000 for a second year of the Challenger Series, an incubation programme supported by Deloitte, Gallaway Cook Allan, and proven local and national entrepreneurs. The Startup Dunedin Trust will also be responsible for managing the Audacious programme (an initiative which helps tertiary students to begin startups). Under the proposal, Enterprise Dunedin funding of $44,000 and will be administered by Startup Dunedin to deliver the programme. The Audacious programme also receives funding from the University of Otago ($40,000) and Otago Polytechnic ($20,000). Representatives from the Startup Dunedin Trust spoke to the Dunedin City Council’s Economic Development Committee, describing their role in supporting the ecosystem. The Trust noted that Dunedin was well placed to capitalise on growing interest in the city from entrepreneurs, investors, businesses due to its burgeoning talent pool and an inclusive and creative startup culture. They also described an environment where people can set up at a fraction of the cost of larger centres and can do more with their resources. Where in the past, successful startups might only be found in the metropolitan areas of North America, today a start-up may emerge from anywhere where there is the right support and environment for growth. The investment by the Economic Development Committee was based on a recommendation by the Grow Dunedin Partnership including Ngāi Tahu, Otago Chamber of Commerce, University of Otago, Otago Polytechnic, Otago Southland Employers’ Association, Dunedin City Council and industry.